We offer special price for whole face area Sublative + Sublime: 499 € instead of 650 €! Special price for 3 procedures of whole face area Sublative + Sublime: 1100 € instead of 1650 €. Save 550 €! PRP PLAZMOLIFTING (used in patient’s blood plasma) – enhances the effects of Sublative (fractional skin renewal) procedures. During the Etwo Sublative procedure – PRP therapy in one selected body area: face, neck, decollete ONLY 170 EUR instead of the usual 235 EUR price. Face + neck SPECIAL OFFER! Promo! Face + double chin with 30% discount Promo! 3 procedures course: face + neck SPECIAL OFFER! Promo! 3 procedures course: face + double chin SPECIAL OFFER! Promo! Full face Sublime + Sublative SPECIAL OFFER Promo! 3 treatment course: whole face Sublime + Sublative SPECIAL OFFER Promo! Sublime technology combines bipolar radio-frequency energy and infrared rays which affect the deep layers of the dermis by heating them. Using infra-red rays, the skin is tightened, new collagen and elastin production is stimulated, the outline of the face is improved and wrinkles are evened out around the eyes and lips. Which problems are solved by Sublime lifting procedure? to remove wrinkles around the nose and mouth. Sublative applicator is a fractional bipolar radio frequency (RF) energy technology, which affects the upper part of the dermis and rejuvenates the skin. This procedure is equivalent to plastic surgery. During fractional upgrade, radio-frequency energy penetrates into the skin, and then new cells are formed in the skin layers where collagen and elastin cell production is stimulated. Which problems are solved by the Sublative fractional rejuvenation procedure? to correct stretch marks and scars. Because of the thinness of the applicator, the most sensitive areas around the eyes are easily accessible. During the procedure the eyelids are lifted and the swollen eye effect is reduced. All these procedures are performed without surgical interventions. What is complete skin rejuvenation using Etwo technology? Complete skin rejuvenation using Etwo lasers is a new technology which combines two applicators: Sublime, which affects the deep layers of dermis with infra-red rays and tightens the skin; and the Sublative applicator, which is intended for fractional skin rejuvenation. 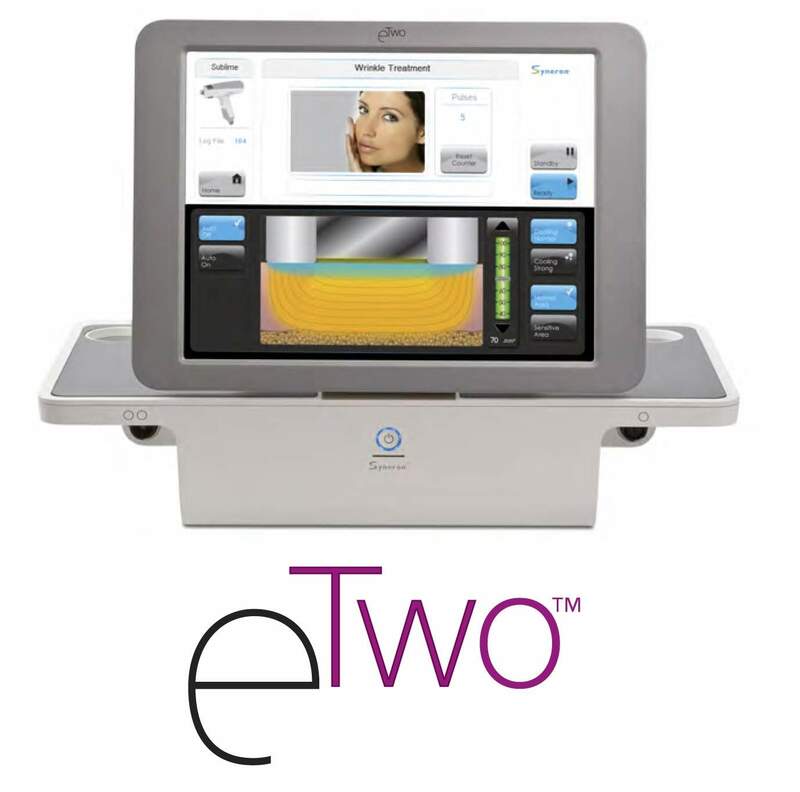 Which skin problems are solved by the new Etwo technology? Correction of signs of ageing. What are the results of these procedures? Obvious results can be seen immediately after one complex facial or skin rejuvenation procedure: new collagen cells are formed, the skin is rejuvenated and becomes lighter in one tone and smoother, its structure is improved, the quantity of deep wrinkles is reduced, the skin is lifted and tightened. The number of procedures depends on the problem. It is recommended to follow a course of 3-5 Sublime lifting procedures by performing procedures every 4 weeks; the effects will be seen 3-6 months later. 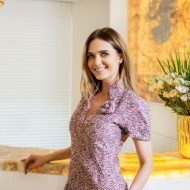 It is recommended to follow a course of 3-5 Sublative fractional skin rejuvenation by performing procedures every 4-6 months; the effects will be seen 2-4 months later. Sublime lifting and Sublative fractional skin rejuvenation procedures can be performed on the same day. We also perform each procedure separately. The doctors of our clinic will examine and assess the state of your face or skin before the procedure, and will advise you and choose the most effective solution in your case depending on your individual needs. This article is an intellectual property of Era Esthetic laser dermatology clinic. It is not allowed to copy and/or distribute or use the text and other information of this website in any way.